About this object Pennsylvania Representative Galusha Grow served as Speaker in the 37th Congress. He lost reelection to the 38th Congress, but returned to the House 31 years later. The Southern rebellion which followed Abraham Lincoln’s election to the presidency gave Republicans control of the 37th Congress (1861–1863). Congress, led by a vocal minority of Radical Republicans, backed Lincoln on nearly every legislative front: the southern naval blockade; the call for volunteers; the federal spending blitz; and the suspension of habeas corpus. 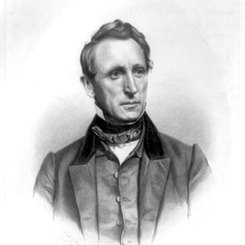 Freed to act without Southern obstructionism, Congress passed a long succession of bills with far-reaching consequences for the country’s growth in later decades: the establishment of an Agriculture Department, the Homestead Act, the Pacific Railroad Act, and the land-grant college system. The House approved a bill abolishing slavery in the District of Columbia by a vote of 92 to 38. President Abraham Lincoln signed the Homestead Act (12 Stat. 392) into law. 1From 1855 to 1861 the local clergy in the District of Columbia conducted the opening prayer. Thereafter, the House has elected a Chaplain at the beginning of each Congress. 2No clear data for this period exist. Representative Hickman of Pennsylvania nominated Representative F.P. 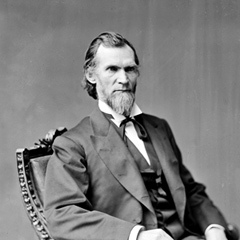 Blair as Speaker in 1861, but no records show whether Hickman was caucus chair.